Beauty Gala | Be Beautiful. Be You. Take It Like A Vamp is the darkest of the 4 shades. I liken it to a deep, berry wine shade. Dark liquid lipstick colors can be tricky to apply and even trickier once they dry, because they are often patchy. This one was quite impressive and left an even, dark color over my entire lip area. These take about one minute to dry down completely matte, with a flat finish. This one does kiss and rub off slightly even when it dries, but the color stays on for a long time. It’s almost like a matte liquid lipstick and a lip stain in one. 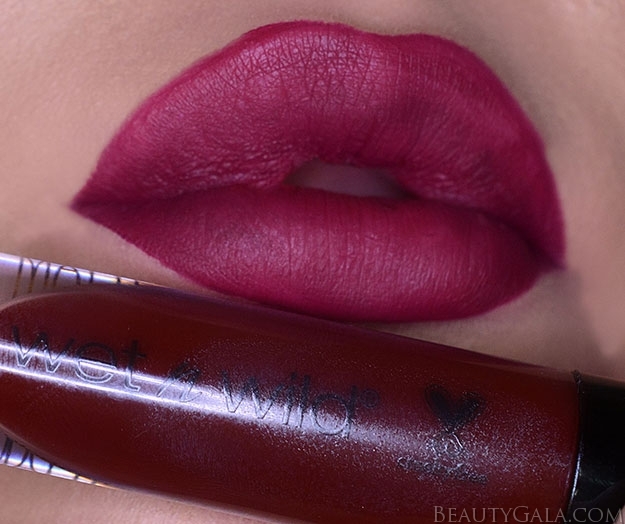 Too Tulip To Quit is a purple based fuchsia shade. It’s bright and it’s lovely. The formula is out-of-this-world for a matte liquid lipstick that is under $5. Don’t Be A Plum-Plum is a cherry red. Another gorgeous shade, another fantastic formula and finish. I was super impressed with how even the darker shades applied. This is not as dark as “Take It Like A Vamp” and more of a dark red shade, with less brown in it. How Fleek Is Your Love is a fire-engine true red. It is blue-based, so it’ll make your teeth look whiter. I really like this one for the holiday season coming up. It applied smoothly and stayed put for hours. Like the other shades, this has a staining base, so you’ll want to use an oil-based makeup remover when you’re ready to remove this! 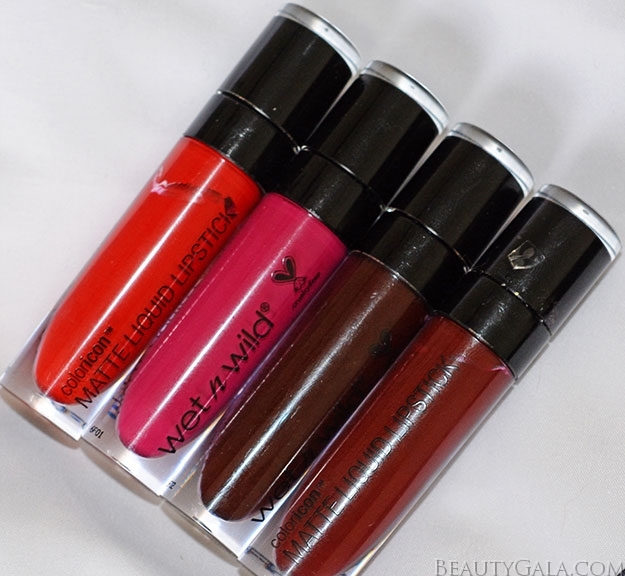 The Wet n Wild Autumn Lush Collection is high quality for bargain prices. It has been selling out at drugstores like hotcakes though, so you may want to be on the hunt for the display if you love these shades. I’ll have the eyeshadow palettes coming up next on the site! Subscribe to Beauty Gala | Be Beautiful. Be You.